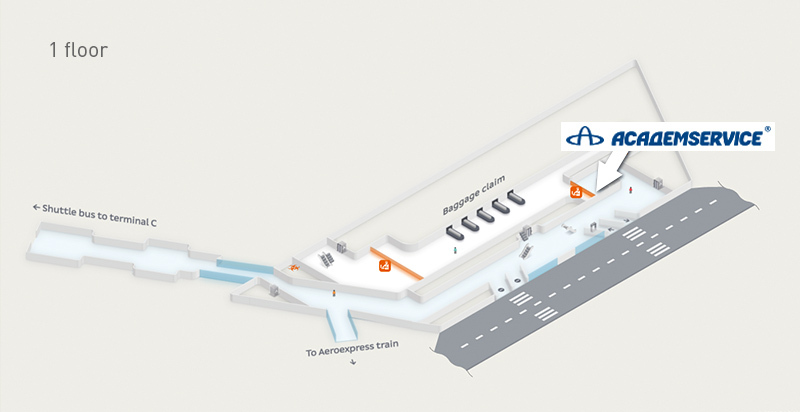 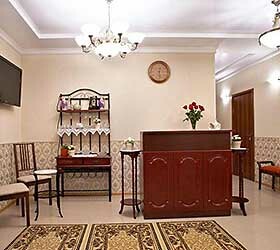 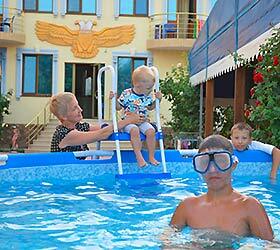 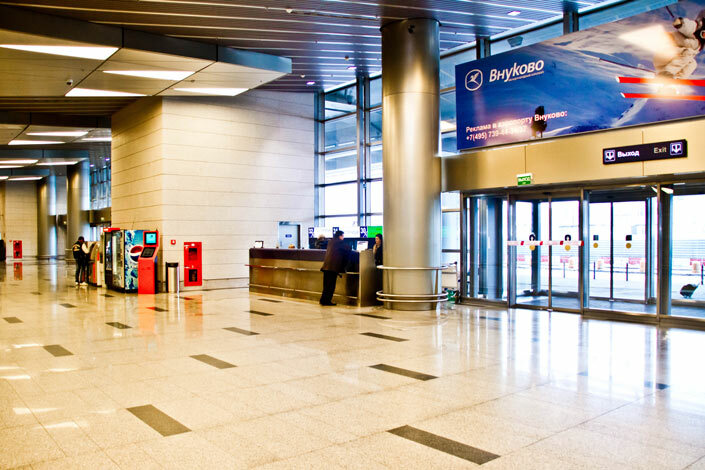 Take the first carriage to go to Domodedovskaya metro station from the city centre. 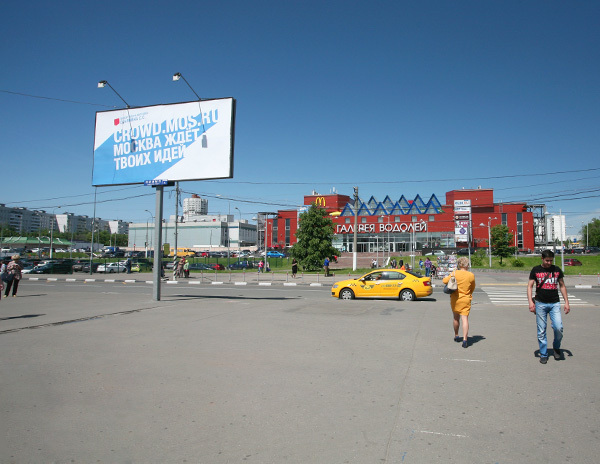 On the way out of the metro turn left to the Galereya Vodoley Shopping Centre. 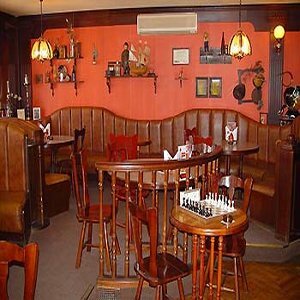 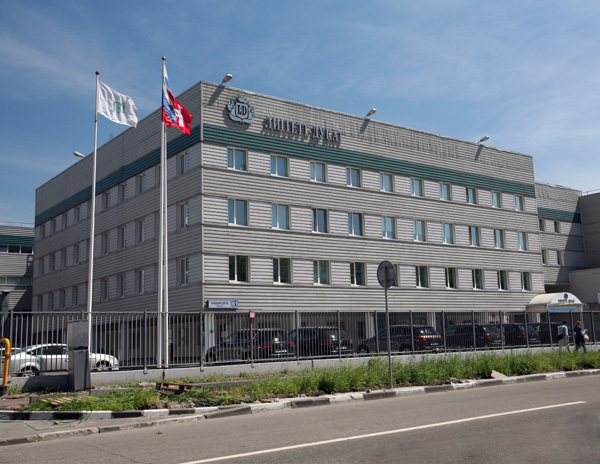 Walk along Kashirskoye highway, pass by McDonald’s Restaurant, Liggett-Ducat Tobacco Company, Moskva Automobile Trade Centre, until you reach the Milan Hotel (tall dark-green building). 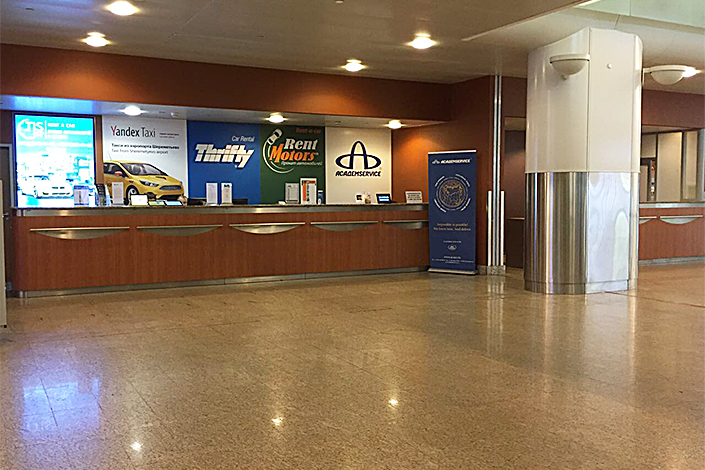 Milan Hotel Business Centre entrance is to the left from the hotel’s main entrance. 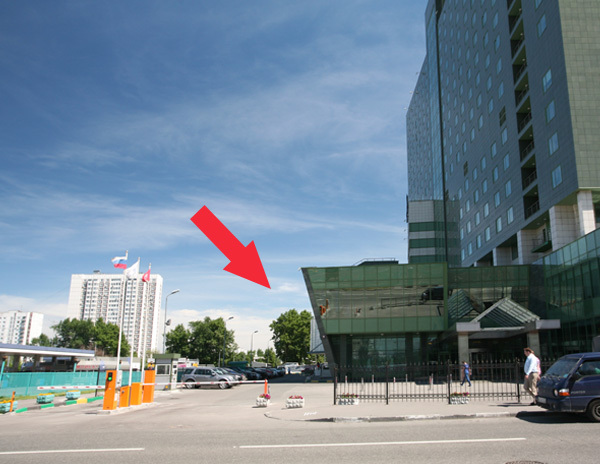 At the reception show your passport or another ID, after that take the lift to the 7th floor to the ACADEMSERVICE office. 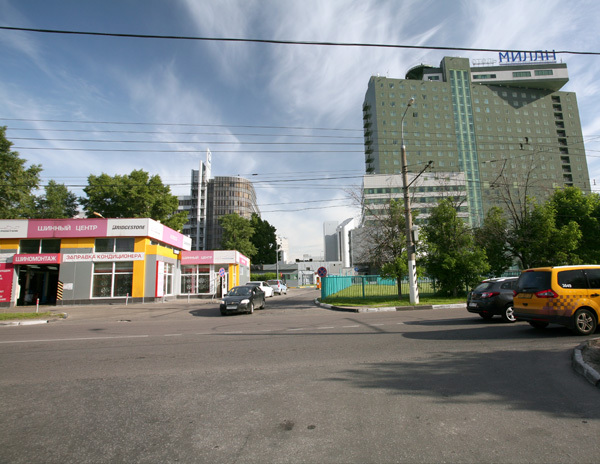 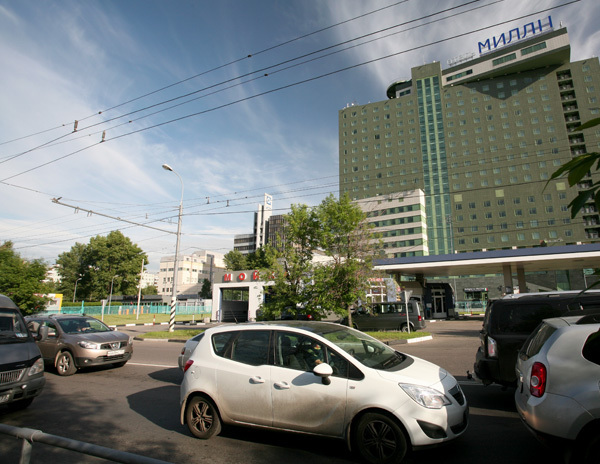 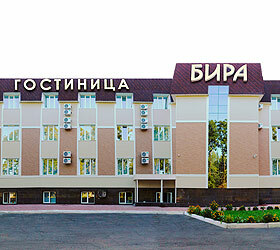 Take Kashirskoye highway till the intersection with Shipilovskaya street (before the Milan Hotel - high dark-green building). 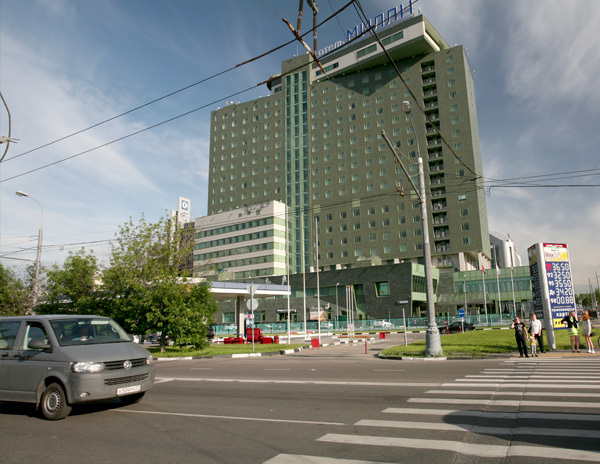 Turn left to Shipilovskaya street and in 30 m turn right into the passage between the TISA Gas Station and the Pole Position KOLESO Tire Centre to the Milan Hotel lifting gate. 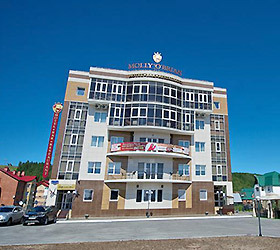 First 30 min of parking on the Milan Hotel parking lot are free of charge. 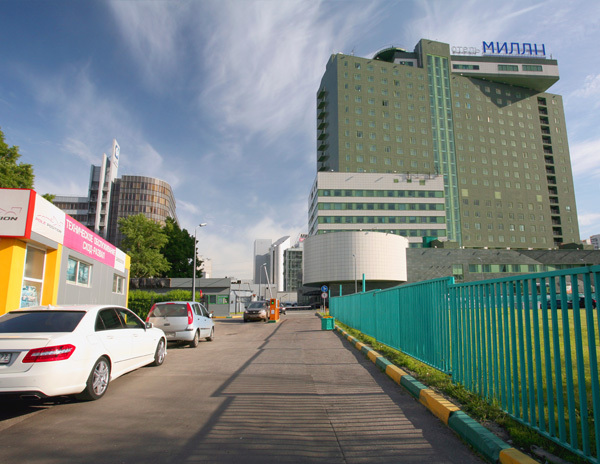 Milan Hotel Business Centre entrance is to the left from the hotel’s main entrance. 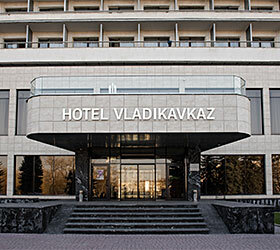 At the reception show your passport or another ID, after that take the lift to the 7th floor to the ACADEMSERVICE office. 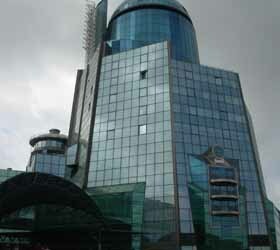 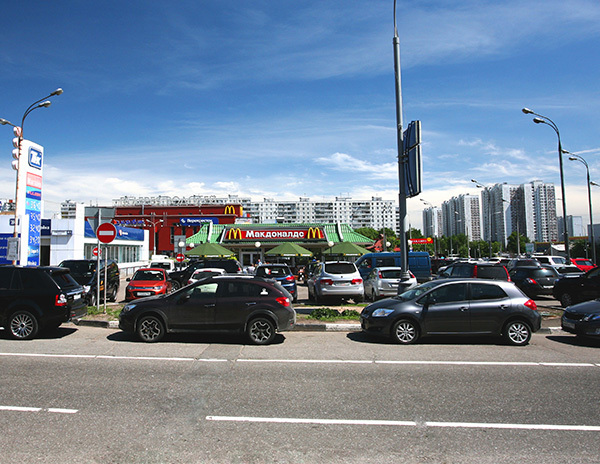 From MKAD (Moscow Outer Ring Road) go to Kashirskoye highway towards the city centre. 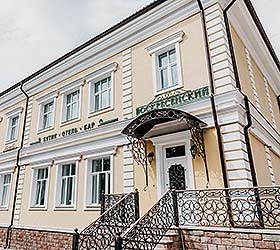 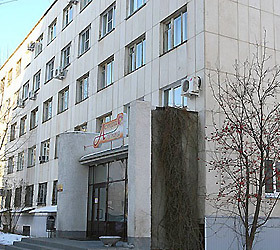 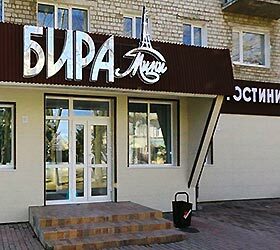 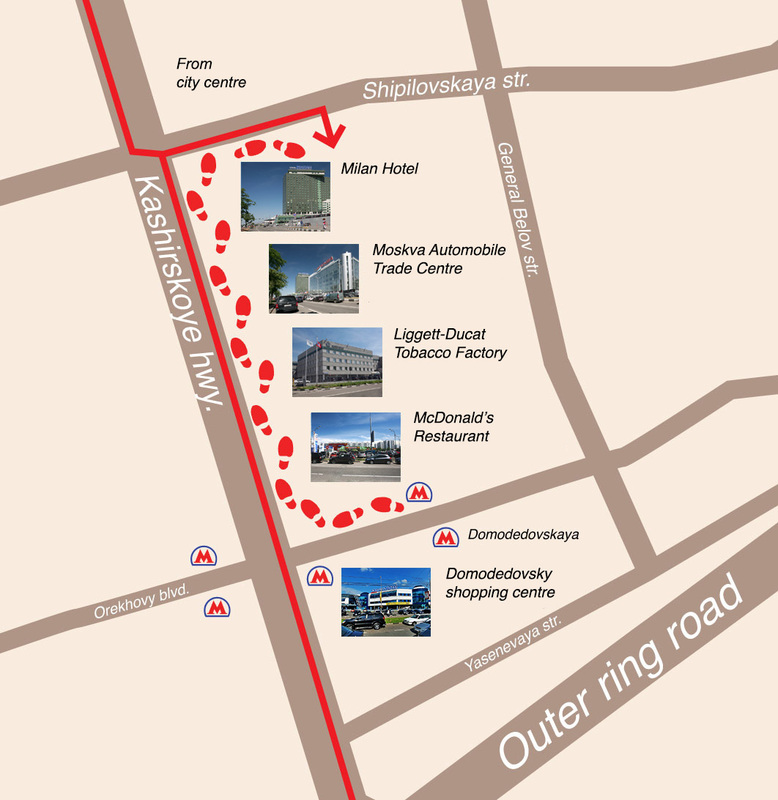 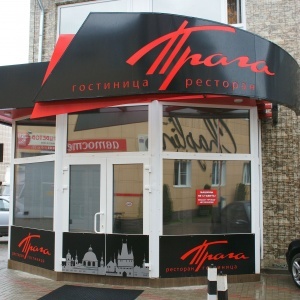 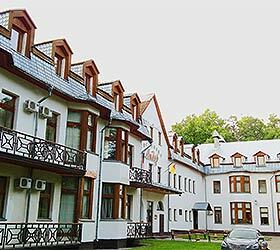 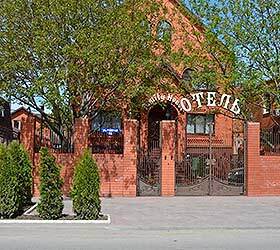 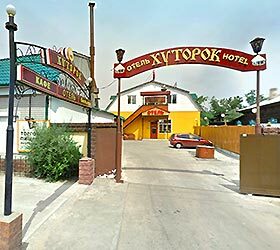 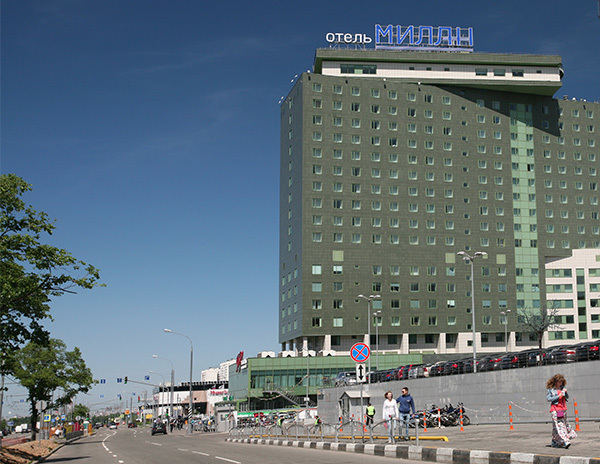 Keep moving along the Kashirskoye highway, cross Yasenevaya street, Orekhovy boulevard, pass by McDonald’s Restaurant, Liggett-Ducat Tobacco Company, Moskva Automobile Trade Centre until you reach the Milan Hotel (tall dark-green building). 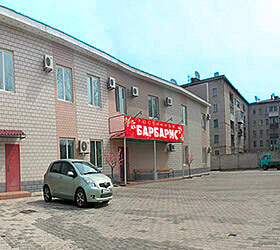 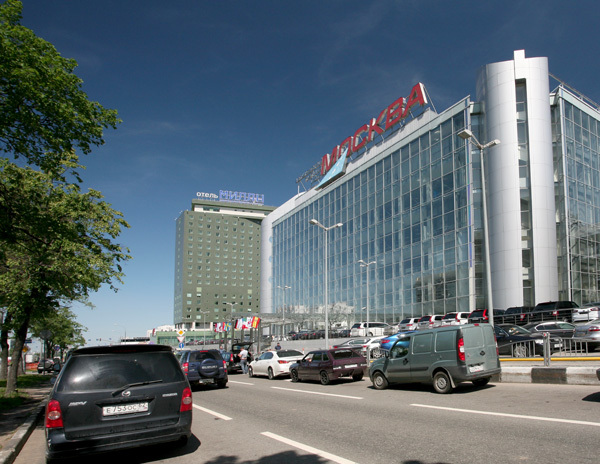 Turn right to Shipilovskaya street and in 30 m turn right into the passage between the TISA Gas Station and the Pole Position KOLESO tire centre to the Milan Hotel lifting gate. 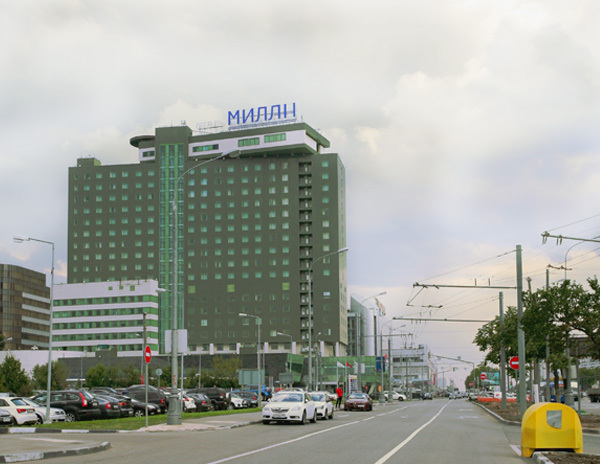 First 30 min of parking on the Milan Hotel parking lot are free of charge. 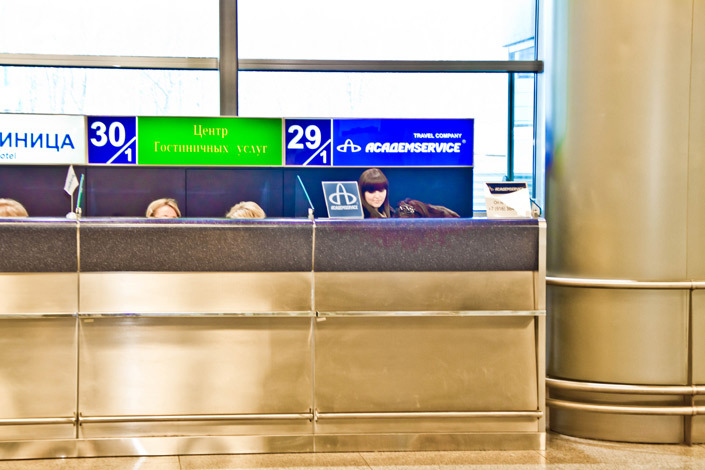 ACADEMSERVICE staff meets clients, who have ordered transfers from terminal B of Sheremetyevo Moscow International Airport, after baggage claim, passport and customs control procedures, with a name board at the exit from arrivals hall (1st floor). 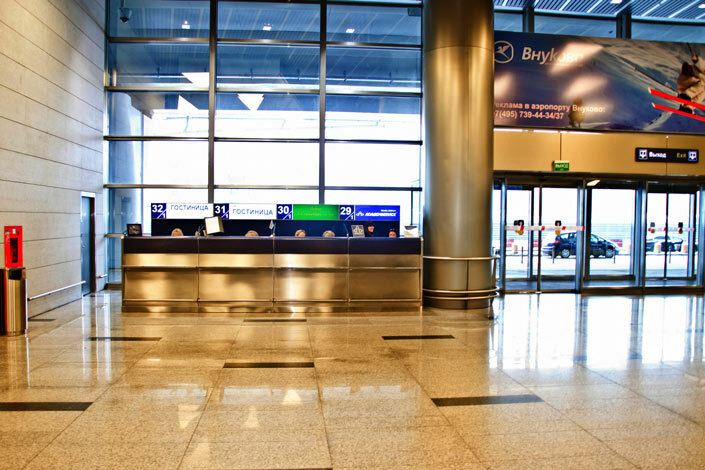 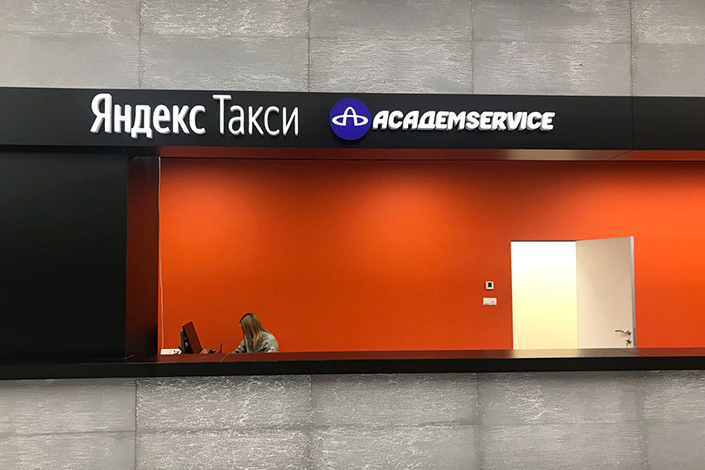 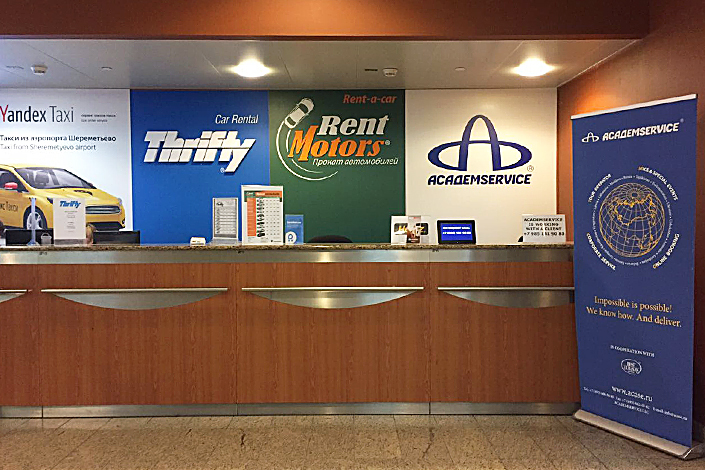 For transfers from the terminal D of Sheremetyevo Moscow International Airport, clients should address the ACADEMSERVICE representative office located in the international arrivals hall (1st floor) after baggage claim, passport and customs control procedures. 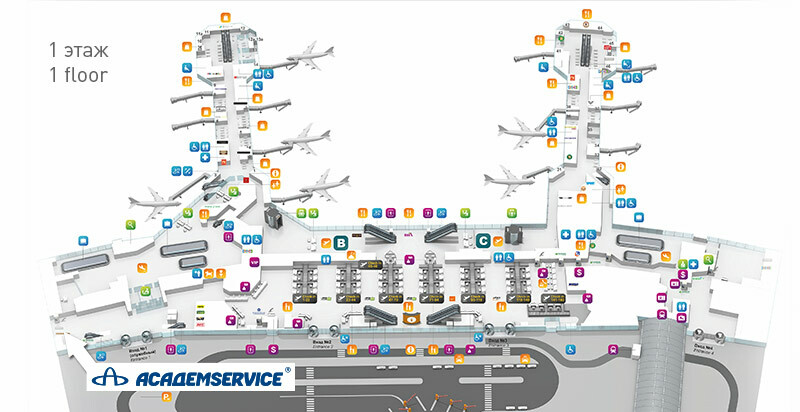 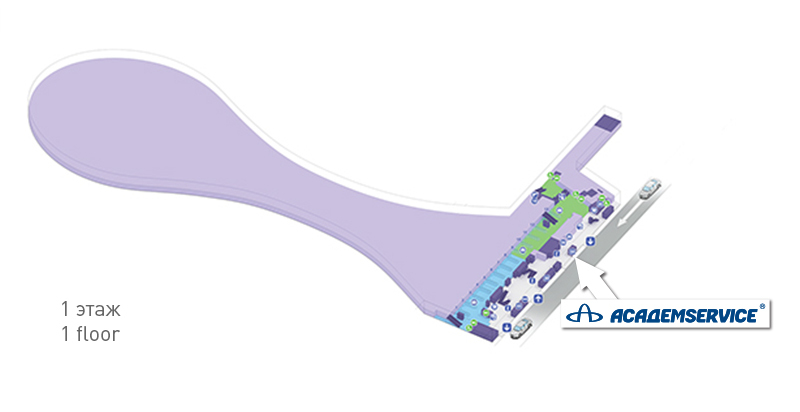 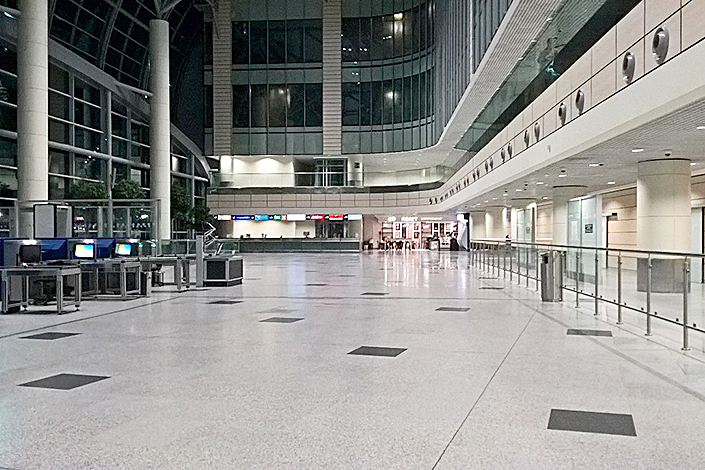 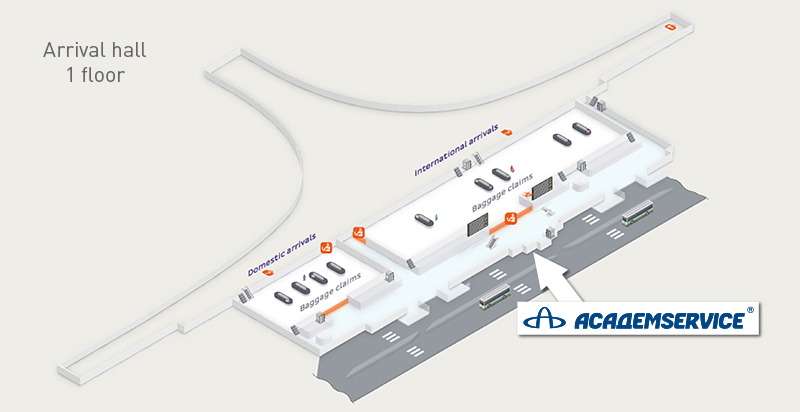 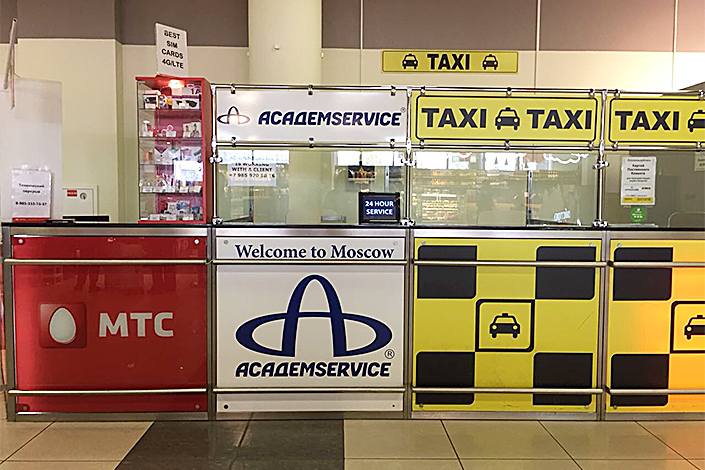 For transfers from the terminal E of Sheremetyevo Moscow International Airport, clients should address the ACADEMSERVICE representative office located in the arrivals hall (1st floor) after baggage claim, passport and customs control procedures. 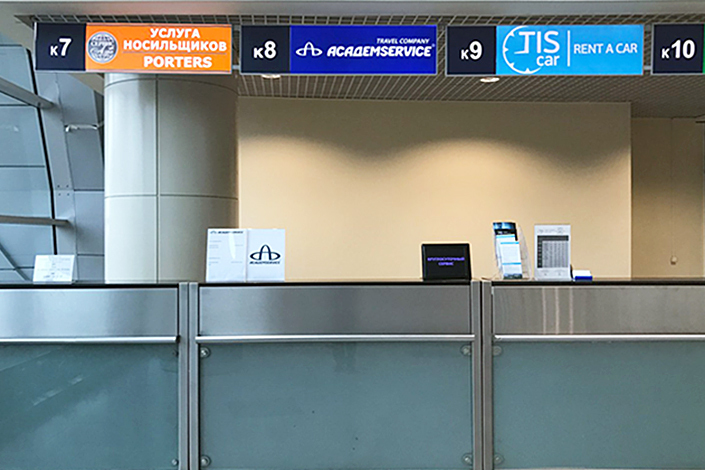 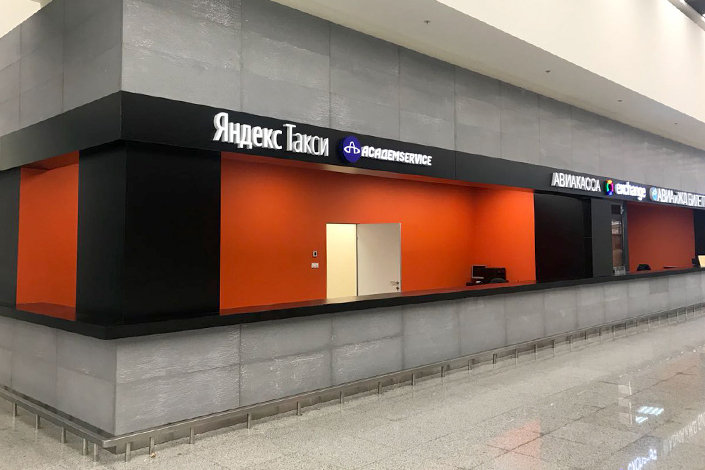 ACADEMSERVICE staff meets clients, who have ordered transfers from terminal B and F of Sheremetyevo Moscow International Airport, after baggage claim, passport and customs control procedures, with a name board at the exit from arrivals hall (1st floor). 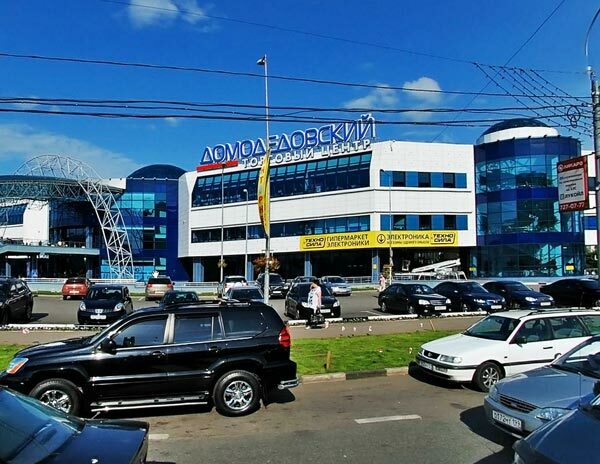 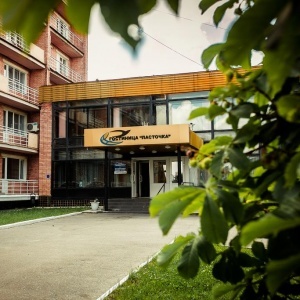 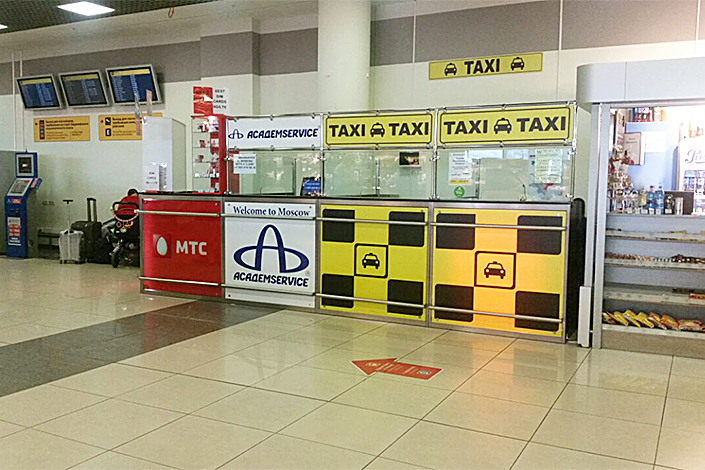 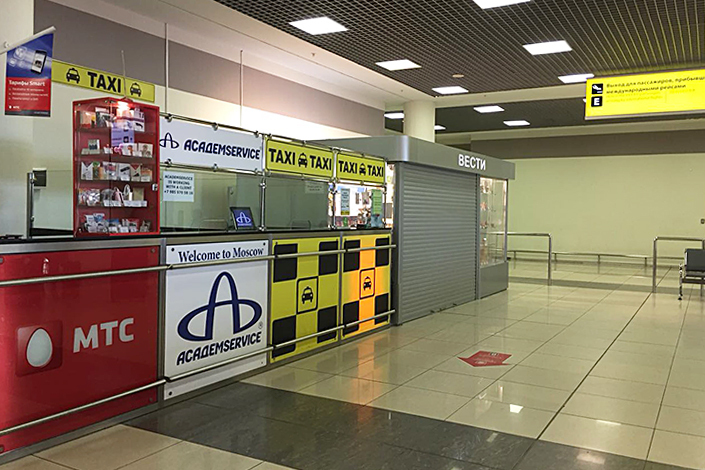 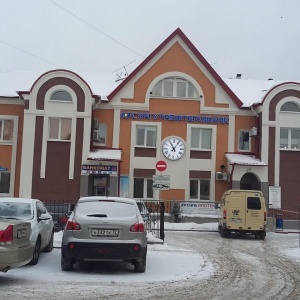 For transfers from Domodedovo Moscow International Airport clients should address the ACADEMSERVICE representative office located in the international arrivals hall (1st floor) after baggage claim, passport and customs control procedures. 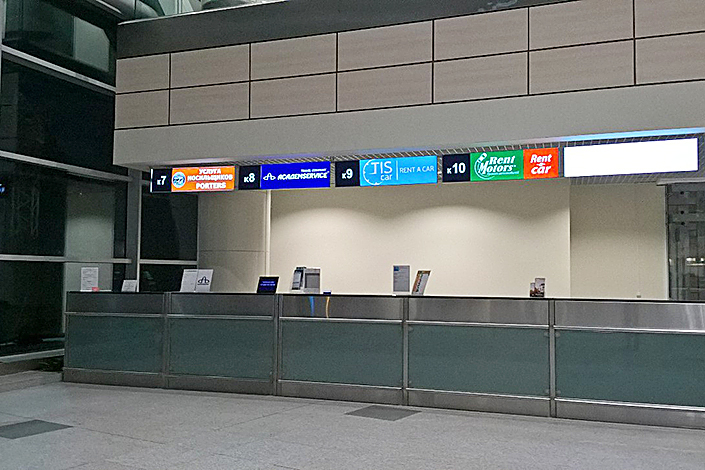 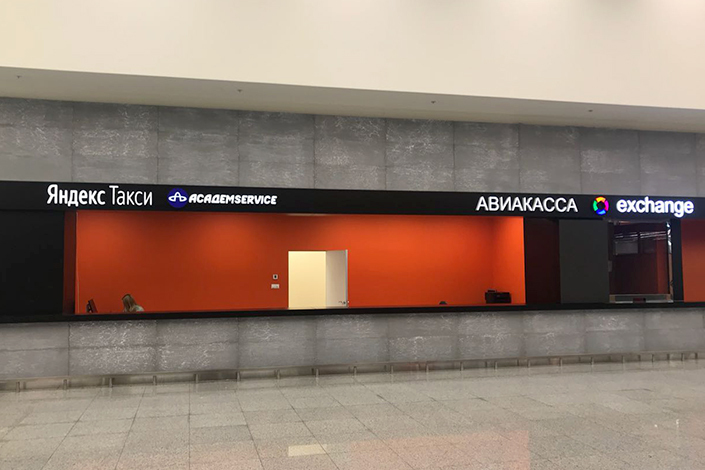 ACADEMSERVICE staff meets clients, who have ordered transfers from Vnukovo Moscow Airport, after baggage claim, passport and customs control procedures, with a name board at the exit from arrivals hall (1st floor). 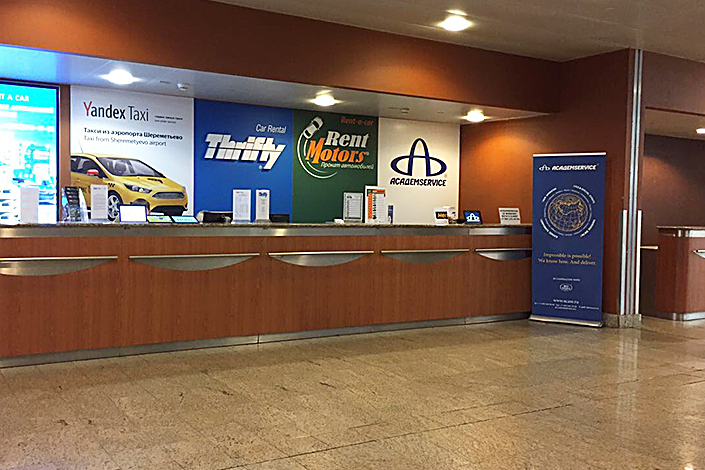 From 9.00 pm to 9.00 am all the meetings are done by drivers.